DescriptionBeautiful party pinwheels with a modern but elegant peach and gold design. Ideal to give decorative flair to your venue for a variery of festive occasions. Each pack contains 3 assorted size Pinwheel Decorations, 1 Large Peach Pinwheel 300mm, 2 Medium Peach & Gold Pinwheels 250mm and 200mm. Beautiful party pinwheels with a modern but elegant peach and gold design. Ideal to give decorative flair to your venue for a variery of festive occasions. 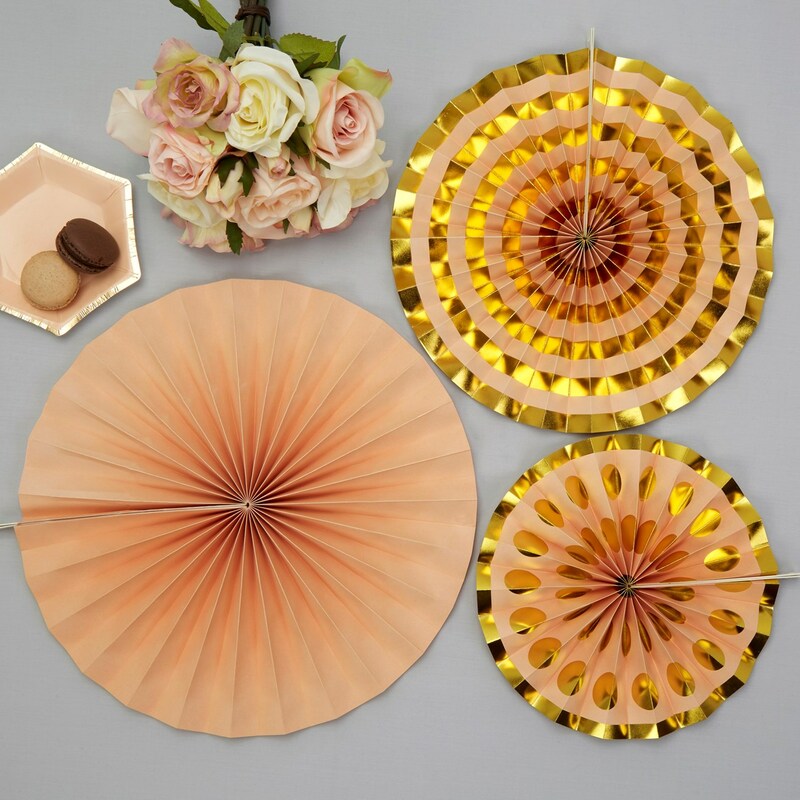 Each pack contains 3 assorted size Pinwheel Decorations, 1 Large Peach Pinwheel 300mm, 2 Medium Peach & Gold Pinwheels 250mm and 200mm.